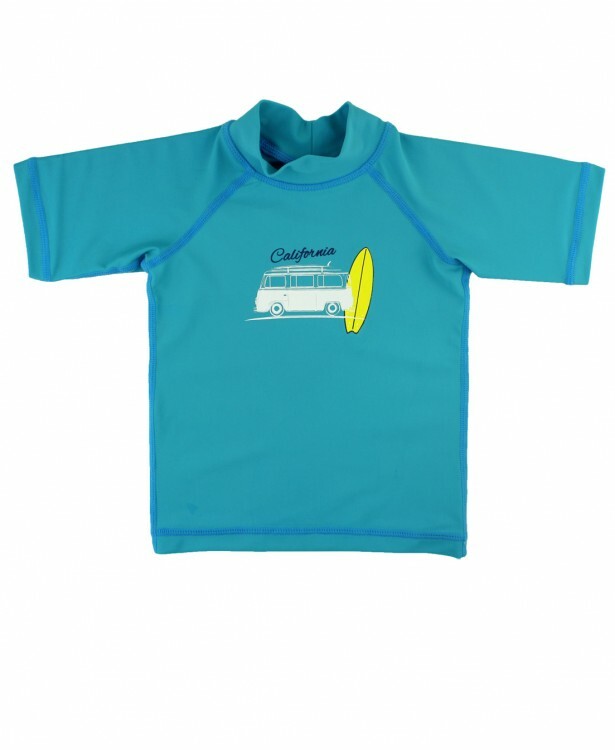 This rash guard is perfect for that little surfer dude in your life! Made of UPF 50+ sun protection, your mind can rest easy knowing he's safe from harmful sunrays. 80% nylon, 20% spandex by RuggedButts.